​The latest season of HBO's smash-hit fantasy epic 'Game of Thrones' gave new perspective to fan-favorite character ​Arya Stark. Since season one, viewers had seen her grow from a terrified but resourceful young girl to a capable and confident assassin. However, season seven let her finally interact with her family once more and instead of supporting her growth, they were horrified by her transformation. Particularly her sister Sansa, who had gone through her own tragic journey in the intervening time, was initially distrustful of her younger, long-lost sibling. 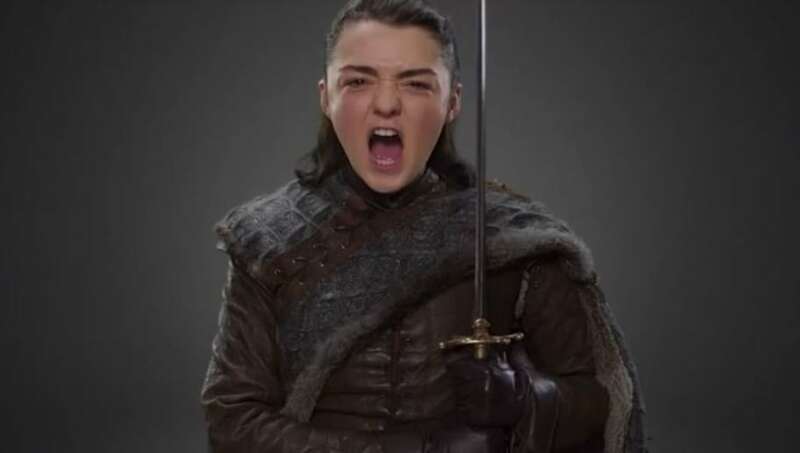 This had the effect of reframing Arya's transition as the development of a mass murderer rather than a woman coming into her own, a change of pace that actress ​Maisie Williams apparently enjoyed. "I’m the ​serial killer everyone’s rooting for," she said in an interview with Elle. "I think until last season, Arya was always killing the baddies. But then we saw her start to use those manipulative powers. It’s not until she had that whole dialogue with her sister Sansa in the last season that you realize what she’s become, that she’s being awful to someone who we love." This recontextualization comes after years of '​Game of Thrones' being accused of sexism, often forcing its female characters into sexually compromising situations or shortchanging their narratives in favor of developing male characters. When asked about the phenomenon, Williams gave her two cents on the matter and took it a step further to discuss how the upcoming final season of the show addresses the problem. "It is a medieval world in which women don’t have a lot of rights, and yet they still prevail," Williams shared. "But I do think that as the seasons have gone on, it’s become more and more amazing for women. And this final season is going to be incredible. It just feels great, being on set with all these girls. They’re all ruling, you know, they’re all back on top. It’s pretty impressive." She does have a point. Going into the eighth season of the show, most of the remaining main characters are women, and two out of the three primary contenders for the coveted Iron Throne are queens. The ​final season recently wrapped its filming and is set to air sometime in early-to-mid 2019.